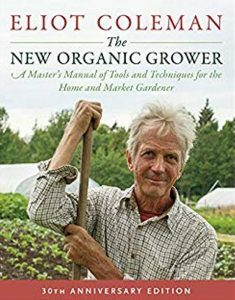 A 30th anniversary edition of Eliot Coleman's 'The New Organic Grower' is out, and the emphasis is on sustainability. For three decades now, Eliot Coleman’s “The New Organic Grower” has been a must-read for anyone starting a small farm. It has never gone out of print. But as the years passed, Coleman began to feel he was short-changing his readers. 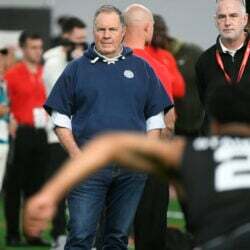 “It started bothering me that, because I learn so much every year, I had to bring it up to date,” he said in a recent telephone interview. The book, originally published in 1989 and Coleman’s first book, was last updated in 1995. To Coleman, “The New Organic Grower” began to feel less than new. He and Chelsea Green Publishing, which has published all three editions, decided to produce a 30th anniversary edition. It came out early this month with a brand-new cover showing an updated photo of Coleman, and, more importantly, some new information. In preparation for the new edition, Coleman went over everything in the original “to see where my thinking had gone over the 30 years and to make sure there wasn’t anything I’d regret having said,” he told me. Many parts he didn’t have to change, and some he did. As an example, in the original book he recommended adding more phosphate rock and greensand to the soil than he recommends today. But he noted that when he was started at his Four Season Farm property in Harborside in Hancock County, it had only 2 inches of topsoil and needed major improvements. He also added information on winter gardening and on extending the gardening season. But Coleman’s real emphasis in this latest edition is the ultimate in sustainability – a no-input farm that requires almost nothing from outside sources. He calls this mixed farming. It involves planting fields of legumes and grass, where laying hens feed during a summer, fall and winter. The following spring, the field of legumes and grass, as well as the chicken manure that was dropped there, is tilled in about a month before vegetables are planted. The hens then spend the next three seasons foraging where legumes and grasses were planted on the previous year’s vegetable plot. When we spoke, he said that this kind of farming – that makes use of animals and vegetables – dates back to the very beginnings of agriculture. Organic gardening that requires gardeners to fertilize their soil with soybean meal is not sustainable, he said, either agriculturally or financially. He said that most tomatoes, peppers, eggplants, strawberries, raspberries and blueberries that are sold in supermarkets as organic are grown hydroponically – and have never touched any soil. USDA rules also allow liquid organic fertilizer, and allow milk and eggs from cows and hens, respectively, that never see the outdoors to be labeled organic. But to Coleman, organic farming means growing things the way they were grown before science got involved, using ingredients that come from nature. To improve his soil, he used compost, a seemingly magic mixture of all that had grown on the farm, including composted manure and minerals created from ground-up rocks. By contrast, liquid organic fertilizer is made by scientists in a lab, trying to re-create the beneficial nutrients that would be found naturally in compost. His own farm, he told me, has never been certified as organic. It isn’t surprising that he recommends people buy their food from a nearby farmer whom they know rather depend on a “certified organic” label. Another new section in the book comes from Barbara Damrosch, Coleman’s wife and a garden writer in her own right. She writes here about incorporating flower sales into the business of a vegetable farm, which she has done herself for about a decade at the 60-acre Four Season Farm (not all the land is under cultivation). Flowers offer a good way to increase income, she writes, with little additional cost. Coleman himself has one minor complaint about the new edition. But he added that he gardened with Scott Nearing, who lived to be 100, and Ruth Stout, who gardened into her 90s, so at age 79 he believes he can continue for a while.